The world’s longest running trade dispute has ended after the EU agreed to cut import duties levied on bananas from Latin American countries. In return the countries have agreed to drop complaints against the EU at the World Trade Organization. They had complained of discrimination as the EU allows tariff-free entry for bananas from acp (African, Caribbean and Pacific) countries, its former colonies. The latest agreement would see the EU lowering import duties on Latin American bananas from the current US $250 a tonne to US $165 a tonne by 2017. 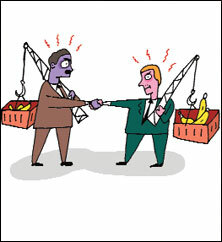 The deal would also benefit other banana-producing countries such as Thailand and the Philippines. It would disadvantage the acp countries whose economies depend on banana production and rely on the EU tariffs that secure their access to the European market. They have accepted the agreement for a compensation of US $300 million. Europe is the world’s biggest importer of bananas. As the world pins hope on the trading of ghg emissions to mitigate global warming, reports are emerging about growing irregularities in the sector. A UN committee recently blocked carbon credits to wind energy projects in China, saying the projects qualified unfairly. The UN offers the fund under the Clean Development Mechanism (cdm), designed to finance only those clean projects that would not have been possible without the aid. The committee suspects the Chinese government lowered subsidies to the wind farms to make them appear needy and qualify for carbon credits. China is the biggest beneficiary of cdm, receiving 50 per cent of carbon credits. In the past 18 months the EU has lost over US $7 billion in tax revenue in the fraudulent trading of carbon credits. The authorities estimate in some countries, 90 per cent of the carbon market was created by fraudulent activities. Snowstorm and sub-zero temperatures battered Europe and the US, killing more than 80 people by the third week of December. In Poland and Germany the temperature fell to -33oC overnight. This triggered transport chaos; tens of thousands of people were stranded at airports and rail stations across Europe after flights and trains were cancelled. Eurostar, the high-speed rail service linking the UK, France and Belgium, remained suspended for four days after two of its trains suffered breakdowns inside the tunnel with 2,000 passengers stuck for more than 16 hours. Eurostar officials said as the trains entered from super cold weather outside to the relatively warmer tunnel, a sudden condensation created havoc in the electrical system causing the breakdowns. France has, however, asked for an independent investigation. Eastern US experienced the heaviest snowfall in over a decade. The authorities declared emergency after states reported two feet of snow. After three years of restrictions, Saudi Arabia has halted the export of sand amid fear that the desert kingdom could run out of the construction material. The authorities said sand is now confined to difficult desert areas and exporting it would be uneconomical. Saudi Arabia’s high quality sand has been in demand from the booming construction industry in Persian Gulf countries. Bahrain, which imports large quantities of Saudi sand for reclaiming land from the sea, has already turned to the uae. 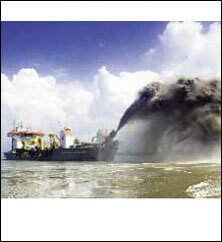 A few months ago Cambodia and Vietnam halted sand exports on environmental grounds. Malaysia and Indonesia have banned sand exports. The indigenous Penan people of the Malaysian state of Sarawak have gone to court after decades-long effort to protect their ancestral land from logging. Five communities have filed a lawsuit against the Sarawak government and four timber companies for violation of the constitution. 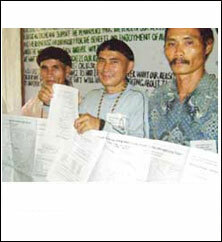 They claim the government is unlawfully issuing timber licences on their ancestral land in the Baram rainforest. They have demanded land titles for 80,000 hectares of rainforest, which they proclaimed as forest reserve in November, and compensation for damage by logging companies. The Malaysian government acknowledges timber firms in Sarawak violate the forestry laws, but does little to stop the companies as they are major foreign exchange earners. The world’s largest user of palm oil, Unilever, has suspended a US $32.6 million contract with the Indonesian group Sinar Mas after an independent audit proved the oil company is destroying rainforests and burning peatlands to make way for its plantations. Sinar Mas is the world’s second largest producer of palm oil. The Dutch company’s investigation was spurred by a 2008 report of Greenpeace. Analysts say the finding is a setback to Roundtable on Sustainable Palm Oil (rspo) — an international convention to ensure that palm oil production is less damaging to the environment—as Sinar Mas still remains its member. Another setback is Germany’s edible oil industry association’s statement that Europe’s food industry is reluctant to buy palm oil certified under rspo owing to its high cost. rspo- certified palm oil costs 5 per cent more to offer an incentive to producers. Brazil approved the use of a new genetically modified (GM) soy seed for cultivation. The variety is herbicide-tolerant. This is the 19th GM crop that the government has allowed since 2003 when Brazil reluctantly approved the first GM crop. Anti-GM activists are worried as this year the planting of GM crops in the country has exceeded the cultivation of conventional crops in Brazil. For example, 67 per cent of the soy field is under GM soy cultivation and 40 per cent of the corn field is under Bt corn. Brazil is the world’s largest exporter of soybean. A Canadian archaeologist has found the earliest evidence of prehistoric humans using grains for food in a Mozambique cave. Julio Mercader of University of Calgary in Canada found dozens of 100,000 year-old stone tools that contained traces of starch granules like sorghum. Mercader said the discovery suggests humans in the Middle Stone Age had sophisticated diet and did not eat just tubers and meat as believed. 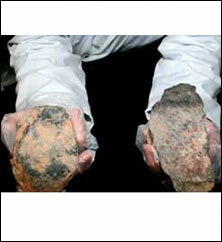 The first confirmed use of grains in the prehistoric era was found in Israel 23,000 years ago. The latest finding could push the date back by another 80,000 years. Three months ahead of an international conference, African countries are divided over whether a fresh round of ivory sales should be allowed. With poaching and black market sales on the rise again, some countries that consider their elephant populations are out of danger want to sell ivory stocks legally. Tanzania and Zambia have asked cites (Convention on International Trade in Endangered Species) to authorize them to sell 112 tonnes of ivory in an exemption to the 1989 ban. Seven countries led by Kenya and the Democratic Republic of Congo have submitted a counter amendment asking for the ban to be extended till 2027. The last cites conference in 2007 saw a similar confrontation but the countries reached a compromise allowing Zimbabwe, South Africa, Namibia and Botswana for a one-off sale. Activists say this legal sale increased demand for ivory, boosting the black market. The international market value of ivory is about US $750 per kg.